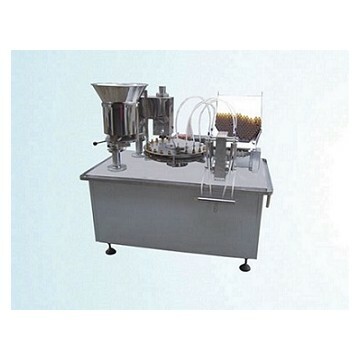 The machine is the filling machine for oral liquid production line, mainly used for 5-30ml easy open lid (or aluminum-plastic lid) vials filling, capping and sealing. It uses screw bottle infeed, bottle feeding is reliabl, local tracking filling, not easy to bubble up, cap automatically conveying by electromagnetic oscillation, high capping rate. This machine combines filling and sealing with advanced design and compact structure.